Lisa DeLong earned a Bachelor of Laws from the prestigious Osgoode Hall Law School, located in Toronto, Ontario after completing her Bachelor of Professional Arts in Communications from Athabasca University in Calgary, Alberta. She previously earned a Diploma in Developmental Services from Fanshawe College in London, Ontario and was employed in group homes in Brantford and Calgary for 6 years before resuming her post-secondary studies. 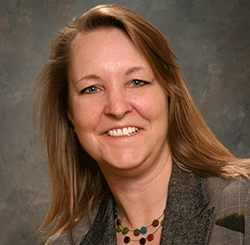 Lisa DeLong has been practicing solely in family law since 2006. As well, she volunteered on the Board of Directors of Dalhousie Place Access Centre for 7 years and was appointed by the Provincial Government to be a Public Interest Representative to the Council of College of Veterinarians for Ontario from 2011 to 2013, which included being a judge on their Disciplinary Panel. She has been a judge for mock trials in various locations and often participates in walk-a-thons to raise money for charity. In 2017, she became a Board Member of the Brant Law Association Executive. She has been a guest speaker twice on the short series called "Financial Matters", which aired on Rogers Cable in 2013. She spoke about the necessity of having a Will and Powers of Attorney as well as ways to resolve family law disputes. Lisa DeLong is a native of the Brantford area, having attended Pauline Johnson Secondary School. She is well known for her cheery disposition, yet can be serious and convincing when required. Danica has been practicing law since obtaining her Juris Doctor from the University of Arkansas in 2013 and is licensed internationally having been called to the bar in both Arkansas, USA and Ontario, Canada. Throughout her career, Danica has obtained experience in Family, Litigation, and Immigration Law resulting in a very client-centered approach to her practice of law. She will provide you with competent and thoroughly prepared legal representation while understanding the significance of your circumstances. With a focus on child welfare and marriage/divorce as well as wills and estates, you can trust that Danica will provide you with the best course of action to achieve your goal and the plan to get there will be explained precisely and concisely. Danica’s goal is to resolve situations as amicably as possible; however, as a member of the Ontario Trial Lawyer Association, she is fully equipped to help you achieve your goals should the matter be required to go to Court. Additionally, being fluent in English, Spanish, and Croatian, Danica is committed servicing the diverse communities that embody the Brantford area; particularly the Spanish community as she is a member of the Canadian Hispanic Bar Association. When she is not at the firm or in court, Danica can be found enjoying the beautiful nature of Ontario; hiking trails with her family and two dogs or rowing on the lakes and ponds and when she can, she enjoys vacationing to visit her family in Newfoundland. Jay was called to the Ontario Bar in January of 2014 after completing her articles with a criminal defence firm in the Durham Region. Jay attended Queen’s University to complete her honours bachelor’s degree in Political Science. She then earned her Juris Doctor degree from Western Michigan University, Thomas M. Cooley Law School. While in law school, she gained valuable practical experience at Wayne County Prosecutor’s Office in Detroit, Michigan, and then at Kings County District Attorney’s Office in Brooklyn, New York. She was called to the New Jersey Bar in February of 2010, and briefly practiced immigration law and housing court matters in the United States before returning to Ontario. Since 2014 Jay has been practicing law in Ontario, with emphasis on family law, criminal law, and poverty law. She is a member of the Law Society of Upper Canada, Brant Law Association, Criminal Lawyers’ Association, and Women’s Law Association of Ontario. During her leisure time Jay is keen on training for a variety of marathon runs, she is an avid NFL football fan, and she enjoys travelling and discovering different countries around the globe. Jay is the newest member of the DeLong Law team of talented and exceptional lawyers. She will be practicing in the areas of family and criminal law. Jay is devoted to serving the needs of the underprivileged segments of society, including but not limited to Indigenous individuals and the immigrant communities. Also, Jay can provide services to clients who speak Tamil. Robert Sager was born and raised on a farm just outside of Brantford, in the town of St. George, Ontario. He earned a Bachelor of Laws from Osgoode Hall Law School in 1998. Robert has been practicing litigation since then, with emphasis on family law, injury law, and general commercial litigation. Robert's experience includes argument at the Ontario Court of Appeal, Superior Court Trials, Ontario Court Trials, and Binding Arbitration. 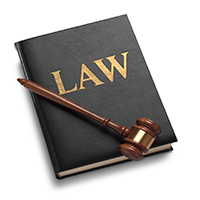 He also has represented his clients at mediations and formal and informal settlement negotiations. He has worked as a mediator in commercial and family matters. He joined Delong Law in 2018 to work in the community where he lives. 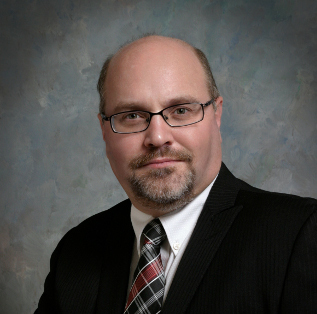 Robert is a member of the Ontario Trial Lawyers Association, the Brant Law Association and the Hamilton Law Association. Robert is a past board member of Habitat for Humanity and Big Brothers Big Sisters. Robert was very involved with minor hockey and started coaching in 1996 and has coached at all levels of competition. Robert continues to enjoy playing hockey as well as playing ball hockey in the warmer weather. Providing competent and understandable legal services is extremely important to Robert, but in addition, he is committed to taking the steps necessary to strongly advocate on behalf of his clients. Robert works with his clients with Wills, Commercial Litigation, Personal Injury, Car Accidents, Slip and Falls, Divorce, Separation, Custody, Access and Support. We are pleased to have such experienced counsel in our firm, and we welcome Robert back to his hometown, after practicing in larger centres in Ontario. Elizabeth joined DeLong Law in the Fall of 2016, where she exclusively practices family law. Prior to joining the firm, she gained valuable experience in family law in Hamilton, Ontario, arguing matters within and outside of Hamilton at the Ontario Court of Justice, Superior Court of Justice, and the Unified Family Court. Elizabeth pursued her undergraduate studies at Carleton University in Ottawa, Ontario, where she received her Bachelor of Arts in Political Science. She then went on to obtain her Bachelor of Laws (Hons.) at the University of Buckingham in the United Kingdom. During law school, she was an elected representative of her university's Senate & Council, member of the Executive of the Law Society, and Student Editor of the Lord Denning Law Journal. After obtaining her law degree, she worked in politics at the Federal level and completed her articles at a prominent mid-sized general service firm in St. Catharines, Ontario. She was called to the Ontario Bar in June of 2014. Her practice encompasses a wide range of family law litigation, including but not limited to divorce applications, child custody and access matters, Children's Aid Society matters, child support and spousal support, and property division. Elizabeth also recognizes that not all matters need to be litigated in the courtroom, and to that end is pleased to assist clients in drafting marriage contracts and separation agreements. She regularly attends professional development programs to remain up to date in the latest developments in family law, in order to provide quality service to her clients. Elizabeth is passionate about helping her clients achieve the best possible outcomes in their matters, and to that end will work with them to tailor a plan that aims to achieve a beneficial resolution. When not practicing family law, Elizabeth sits on the Board of Directors at the Hamilton Arts Council. She formerly volunteered her time as a board member at Wesley Urban Ministries in Hamilton, Ontario. She enjoys playing the piano and alto saxophone, and cheering on the Toronto Raptors.